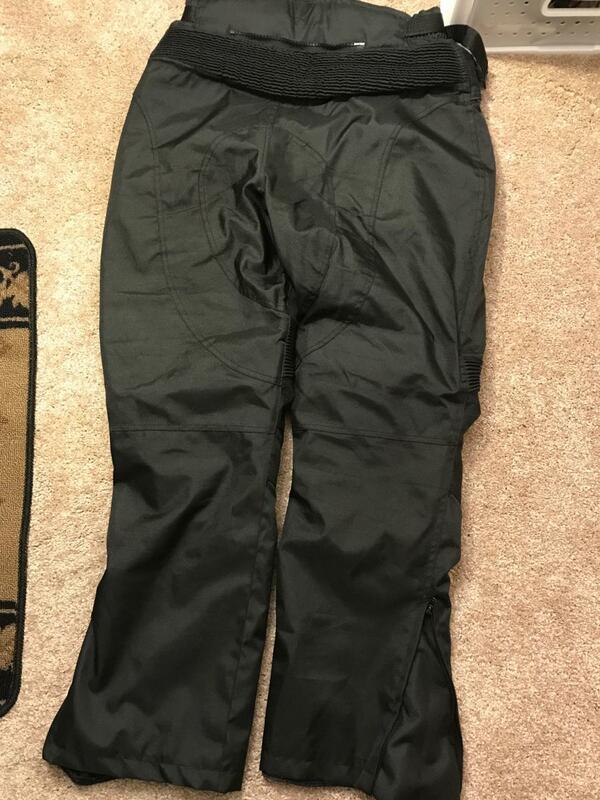 I am cleaning out my closet of riding gear (see my other posts) and forgot to list a pair of riding pants that are thermal and waterproof. 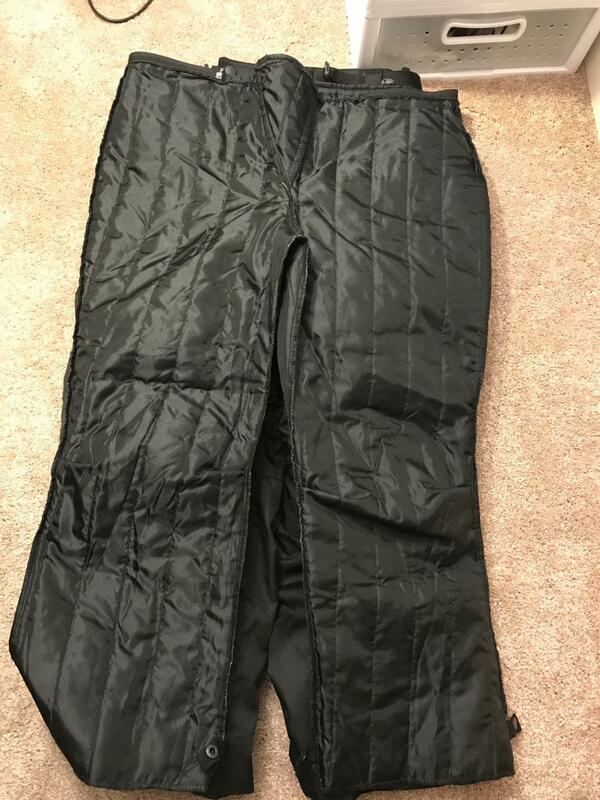 They are black with a removable quilted liner. The pants fit a 31 - 34" waist and have cinch straps. I am a 32 and comfortably wore jeans under. These have two zippered and waterproof front pockets. They are a bit loose and seem like they could fit up to a 36" waist without wearing pants underneath. These also have hip and knee armor. They are 32" in length with zippered sections at the calf to aid with getting boots on or off. I paid a bit over $110 last year and only road them a couple days down to 31-degrees. 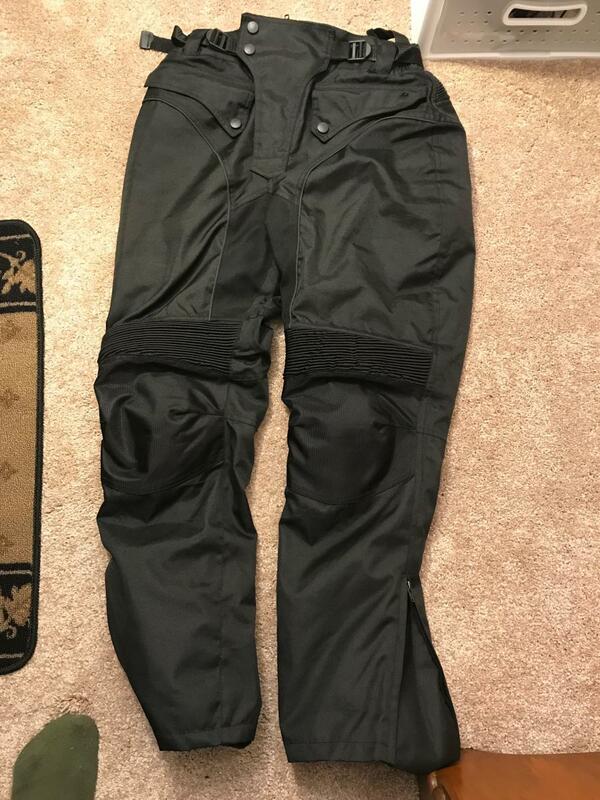 Worked great, but I decided to go with a heated pant so these just sat in the closet. Asking $55 plus shipping. philharmonic, wiggy1 and the Ferret like this. Hmmmm.... got nothing to do with Russ hoping to get slimmer, LOL.